Come party at Sepomana, WRMC’s annual spring concert! The Bunker’s capacity is very limited and tickets are cheaper in advance so be sure to get yours asap. 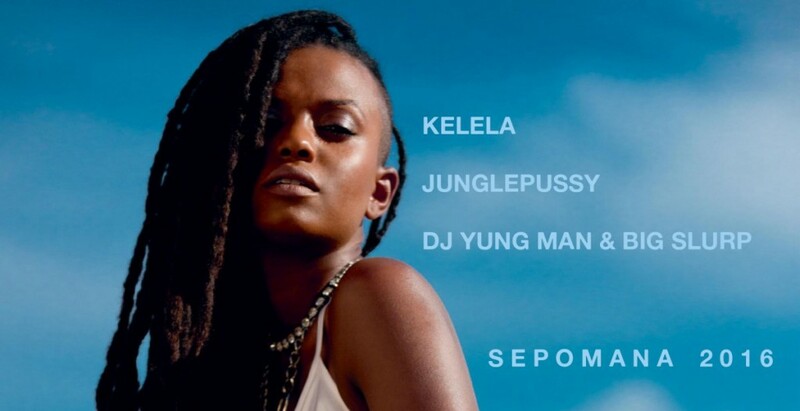 Kelela‘s experimental r&b exists in the spaces between defined spaces, the things in between, the interlude. Her music is both ethereal and physical. It’s of the club but it’s also of the intimate conversation in the middle of the crowded dancefloor. It’s the communal euphoria of the rave mixed with the introspection of the walk home afterwards. It’s a feeling of vulnerability, honesty, power, love and of course, partying. Junglepussy may have first come up in your life when she lectured at Yale, from her early single “Cream Team” or from any of the fire projects she’s put out. Whatever your first experience with her, you know she’s an incredibly compelling NYC rapper in a league of her own. And you just know she likes to party. DJ Yung Man & Big Slurp a.k.a the Cyrillic Boys are a timeless institution here at Middlebury. You might know them as the co-editors of our wonderful newspaper the Middlebury Campus. They’re the DJ equivalents of drinking Mio Energy shots. They know how to party.